See attached and below for the polio report for 10/24/18. Two additional cases of polio in Afghanistan, bringing the yearly total to 22. Only one new cVDPV case this week. As we celebrated World Polio Day, we were aware of 20 cases of polio for the year. These two additional cases have brought us even with the worldwide total last year, and realistically it seems likely that in the remaining two months of the year we will see additional cases, meaning that this year we will actually see an increase in cases from the previous year. While this is not good news, this is a scenario we have seen before. In 2012, we saw 223 cases of polio. In 2013, this number almost doubled to 416. A massive vaccination campaign was implemented, and by 2015, the number of cases had dropped to 74. It seems extremely unlikely that we will see a doubling of last year’s polio cases. Indeed, we may end the year with only a few additional cases from 2017. We certainly hope so. But, we know the solution to polio eradication is the continued diligence in vaccinations, and monitoring our vaccination supply chain from manufacture to administration to assure we are providing viable, effective vaccinations, particularly in the most stressed regions of Afghanistan and Pakistan. Those efforts will require diligence and funding – funding provided by events like the many World Polio events you have all just undertaken. 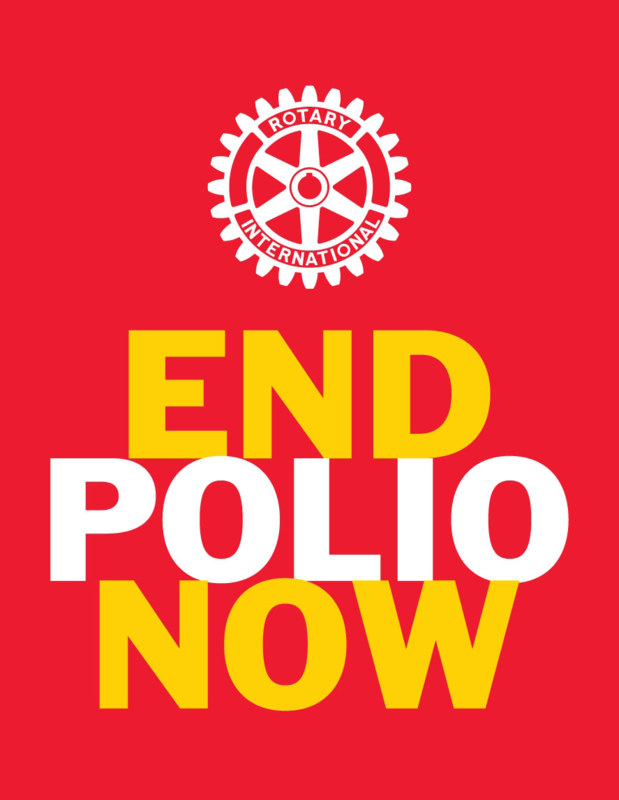 Let’s celebrate our success in building awareness during World Polio Day, and for our additional fundraising. Rather than make this a once-a-year commitment, however, let’s continue to remind our districts and our clubs of the ongoing need for Rotarian funding (matched 2 to 1 by the Bill & Melinda Gates Foundation). Our need to vaccinate is year round; not just on October 24. With your help, by this time next year we’ll be celebrating better statistics than we’re seeing this year! Thanks for all you do in the eradication of polio. No cases of wild poliovirus type 1 (WPV1) were reported in the past week. The total number of WPV1 cases in 2018 is 16. One WPV1-positive environmental samples was reported in the past week, from Kandahar, collected on 25 September. The latest polio update from Afghanistan has information on cases, surveillance and vaccination campaigns. Two cases of wild poliovirus type 1 (WPV1) were reported in the past week, from greater Karachi, Sindh (with onset of paralysis on 22 September) and Khyber district, FATA province (with onset of paralysis on 25 September). The total number of WPV1 cases in 2018 is six. Four WPV1-positive environmental samples were reported in the past week, three from Khyber Pakhtunkhwa, collected between 18 and 27 September and one from Balochistan, collected on 1 October. The detection of new cases and environmental-positive samples is not unexpected at this time, and underscores the fact that transmission is ongoing in the country. The country continues to implement national emergency action plans, to identify remaining immunity gaps and urgently fill these gaps. The latest polio update from Pakistan has information on cases, surveillance and vaccination campaigns. One case of circulating vaccine-derived poliovirus type 2 (cVDPV2) was reported this week, from Katsina, with onset of paralysis on 16 September. The total number of cVDPV2 cases in 2018 is 17. Three cVDPV2-positive environmental samples were reported in the past week, two from Yobe and one from Bauchi, and collected in August and September. These newly-reported viruses are all linked to a cVDPV2 originating in Jigawa; this same virus has also been detected in neighbouring Niger. Separately, Nigeria is affected by a second cVDPV2 outbreak, centred around Sokoto state. In response to cVDPV2 detection, the country continues to conduct acute flaccid paralysis surveillance strengthening activities including enhanced active surveillance visits and community sampling. The programme has also carried out an extensive search for type 2 containing vaccines (tOPV/mOPV2) in the areas surrounding where the virus is detected. Read our Nigeria country page for information on surveillance and vaccination campaigns. No new cases of circulating vaccine-derived poliovirus type 2 (cVDPV2) were reported in the past week. The total number of cVDPV2 cases in 2018 is 6, from Zinder, Niger. These cases are linked to a cVDPV2 in Jigawa, Nigeria. The Government of Niger has declared a national public health emergency, as per the temporary recommendations of the Emergency Committee of the International Health Regulations. WHO and its partners are supporting local public health authorities in field investigations and risk assessment, and to conduct additional response measures as appropriate and necessary. Health workers are conducting active searches for additional AFP cases; surveillance is also being strengthened by taking more environmental samples from more areas and sampling the stools of healthy people. The detection of wild poliovirus type 1 (WPV1) and cVDPV2 in Nigeria continue to pose a risk to the neighbouring countries of the Lake Chad basin. Emergency outbreak response and efforts to improve surveillance continue across the basin.These include efforts to vaccinate children at markets, in internally displaced persons and refugee camps, and at international borders. DR Congo is affected by three separate strains of cVDPV2, in the provinces of Mongola, Maniema and Haut Lomami/Tanganika/Haut Katanga/Ituri. The relevant Provincial governors have signed a ‘Kinshasa Declaration for Polio Eradication’, committing to providing the necessary oversight, accountability and resources needed to stop the outbreak. It is hoped that level of oversight will improve operational performance of the outbreak response. The polio outbreak response is being conducted simultaneously with an ongoing Ebola outbreak affecting North Kivu province, in the east of the country (close to provinces affected by cVDPV2). As in the past, the polio teams are coordinating closely with the broader humanitarian emergency network, to ensure both outbreaks are addressed in a coordinated manner. Our Democratic Republic of the Congo country page has information on surveillance and vaccination campaigns. The Horn of Africa is currently affected by separate outbreaks of circulating vaccine-derived poliovirus type 2 (cVDPV2) and type 3 (cVDPV3), reporting both cases and environmental positives. The country is carrying out outbreak response to both virus types in line with internationally-agreed guidelines. An Outbreak Response Assessment is due to start on 18 November, followed by a Technical Advisory Group meeting. No cases of circulating vaccine-derived poliovirus type 1 (cVDPV1) were reported in the past week. The total number of cVDPV1 cases in 2018 is 18. Emergency Operations Centres are established and operational in all affected provinces; environmental surveillance is functional in five sites in two major cities. Three Supplemental Immunization Activities (SIAs) of expanding scope have taken place since late July, from three provinces to nine, to nation-wide. The most recent was aimed at children under the age of 15, due to the large numbers of poorly-immunized older children. Detection and reporting of new viruses or cases at this point in the outbreak response is not unusual or unexpected, as surveillance is being strengthened, and most reported and confirmed cases had onset of paralysis prior to the start of comprehensive outbreak response. The Papua New Guinea country page has information on surveillance and vaccination campaigns. No new cases of circulating vaccine-derived poliovirus type 2 (cVDPV2) were reported in the past week in Syria. The total number of officially reported cVDPV2 cases in Syria in 2017 remains 74. There are no cases reported in 2018. The most recent case (by date of onset of paralysis) was reported in Boukamal district, with onset on 21 September 2017. The latest polio update from Syria has information on cases, surveillance and vaccination campaigns. Please refer to the attached weekly global update for country-level details of 2017 cases.